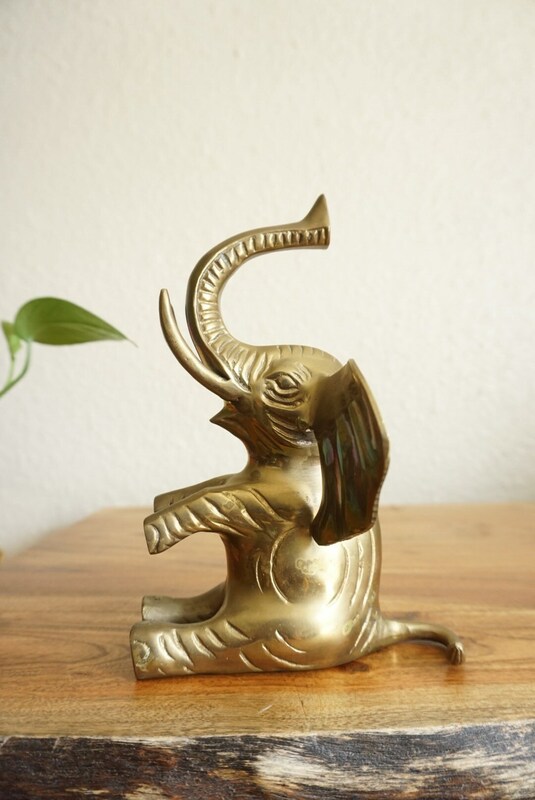 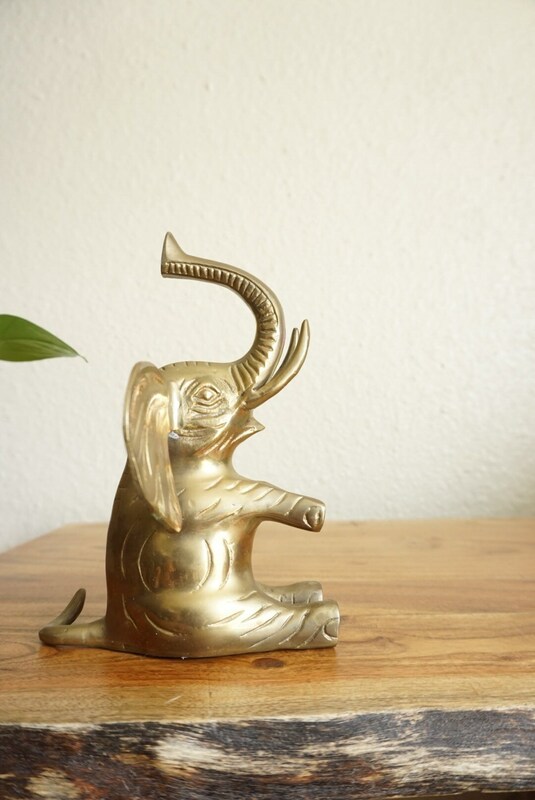 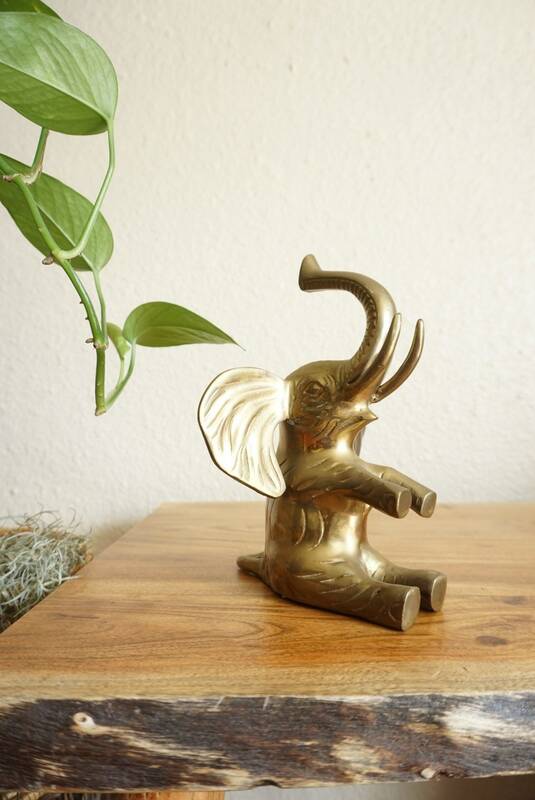 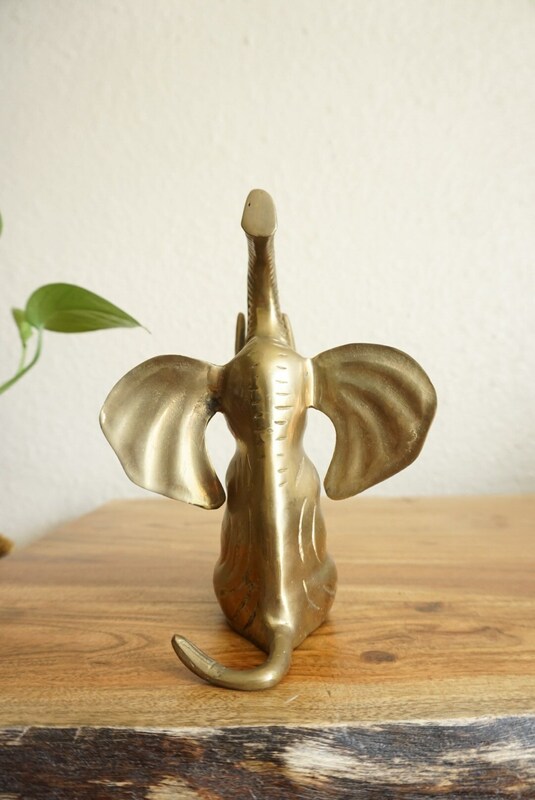 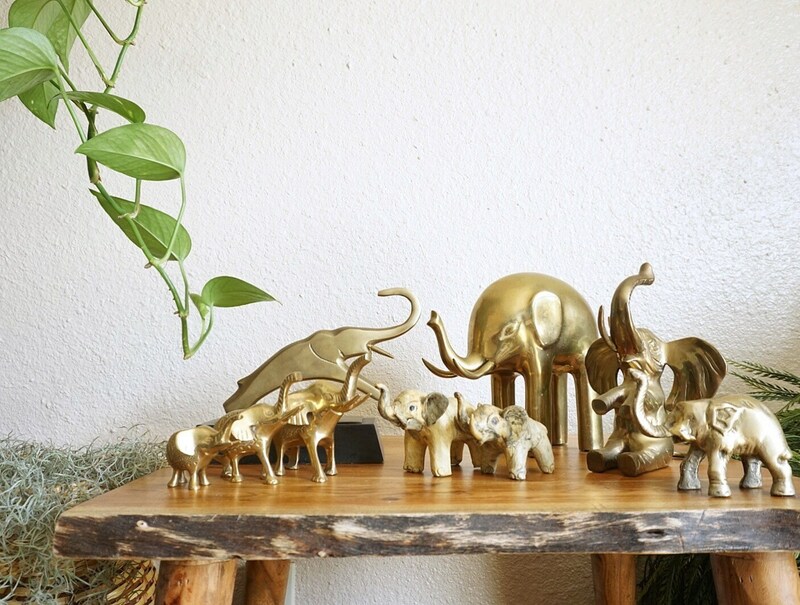 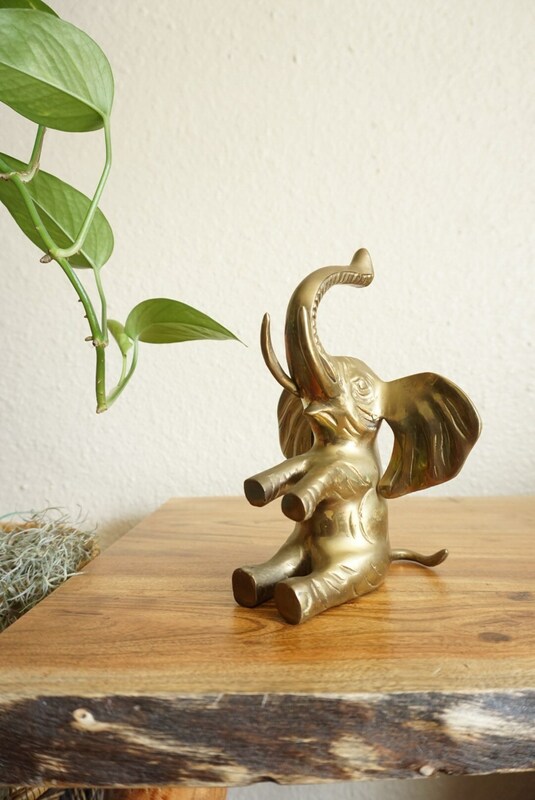 Lovely solid brass sitting elephant with large ears and lifted up trunk. 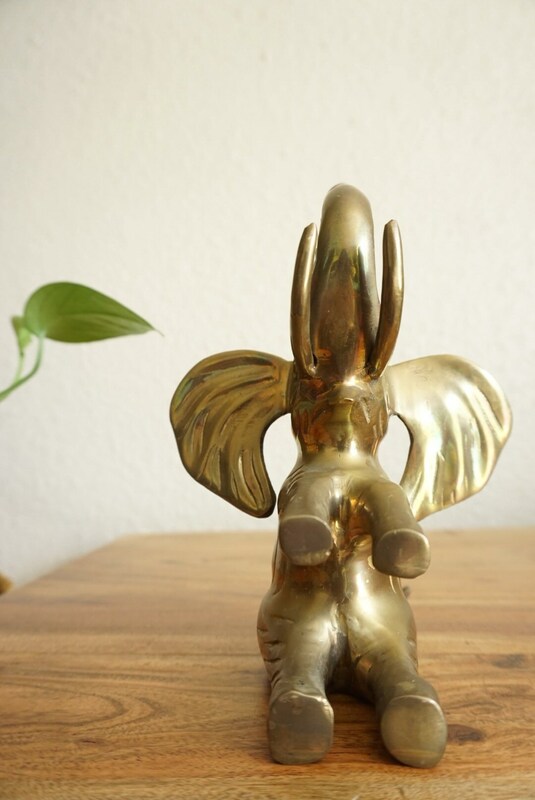 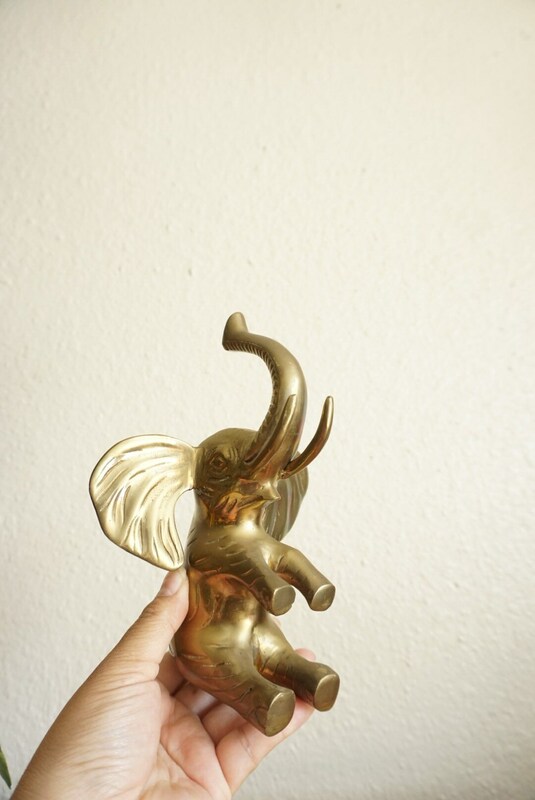 Solid and dense brass with great detailing and a lovely representation of the beloved Dumbo character. 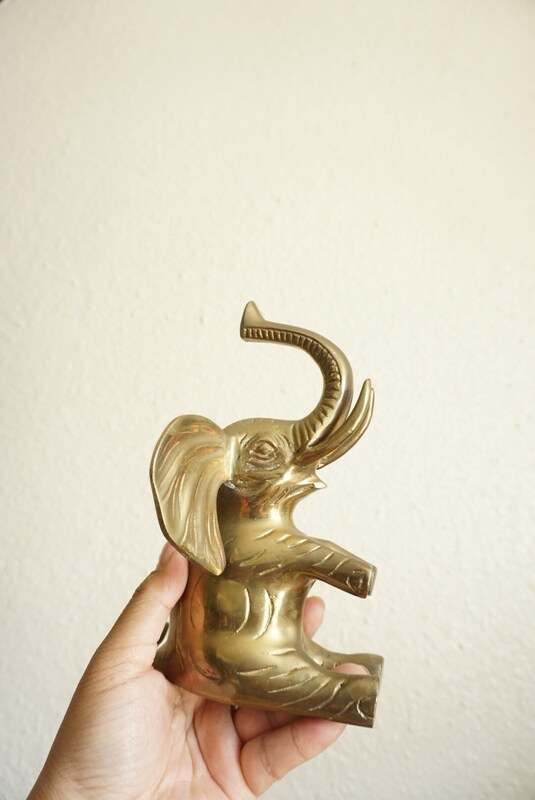 Vintage condition with lovely patina, with some spots with tarnish and oxidation from age.